I have not been posting for a couple reasons. Summer has been crazy busy. Projects at work took up a solid month and now all the fun is getting in the way. Heather and I purchased a Jeep about 6 months ago and I have been working on it here and there. 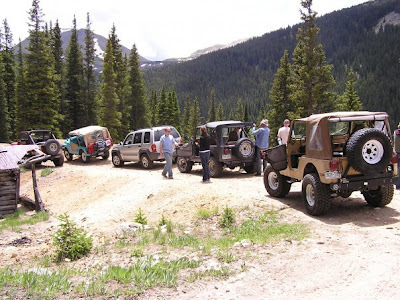 One of the big reasons to buy the Jeep was to go on an annual Jeeping trip with family. 2 weeks before the trip the carburetor needed to be rebuilt. What a great opportunity for me to learn! I took lots and lots of pictures so I could see and compare the before and after. In the middle of rebuilding the carb we took a trip to Grand Junction for a music festival. 3 days after that was our Jeeping trip. Turns out I can rebuild a carburetor. It went very well and the Jeep still runs. 2 days before we were to leave I found a fuel line leak. My brother-in-law is very good with Jeeps and helped me fix the leak. I am not so good and after the leak was fixed started the Jeep in reverse and drove into his garage! Everyone is ok! 1 day before we are leaving to go camping Heather was involved in a car accident. SHE IS OK! The car is not. An older gentleman was turning right on red and came into moving traffic and hit her. We are still waiting to see how that turns out. 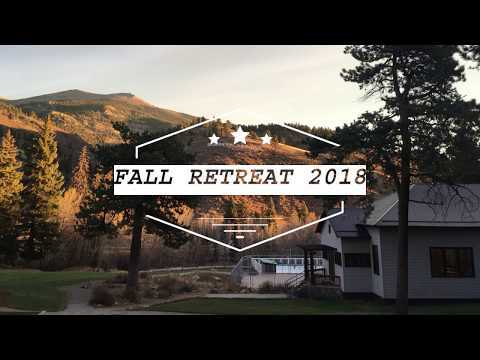 Day 0…We are camping! 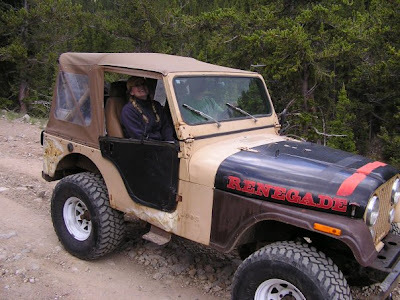 We got to the site, unpacked and left to hit the trails in the Jeep with a rebuilt carb and new fuel lines! It was great for about 2 minutes until Heather and I realized the camera was on the hood of the Jeep when we left. Oh NO! We continued that day expecting to arrive back at the site and see the camera smashed on the ground! The good news is that the camera was not smashed. Bad news…we have no idea where the camera walked off too. The only thing that makes any sense is that someone helped the camera find a new home and owner. The sad part is that in 3 days I ran my Jeep into someone’s garage, Heather was hit by and old man and my camera and pictures are gone. THAT is why there have been few posts. 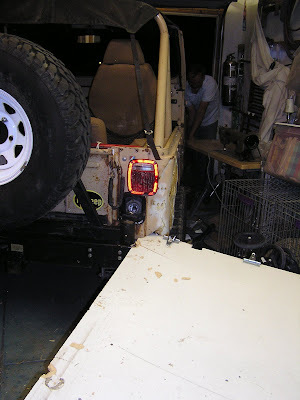 I have attached a couple pictures from the Jeep trip and one from the garage. It was a great weekend and we had a lot of fun. Now starts the battles with insurance.